Creekside Center for Earth Observation was founded in 2006 by Drs. 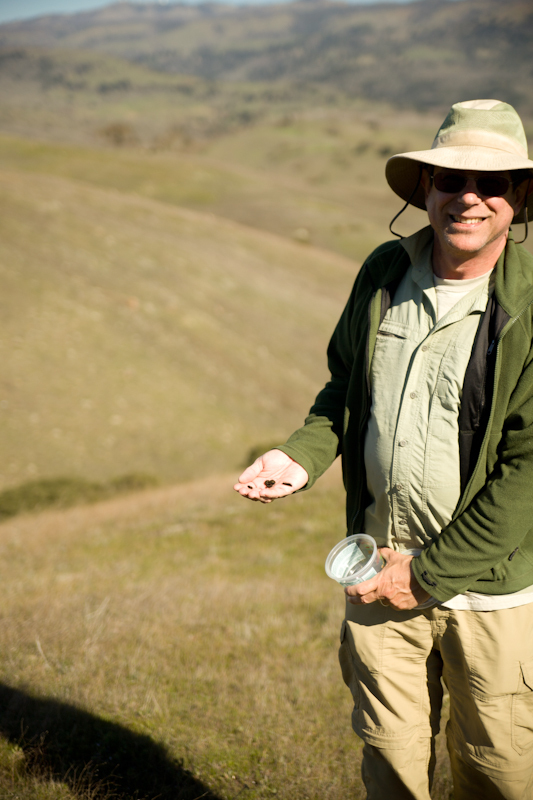 Stuart B. Weiss and Paul M. Rich to apply the latest science and technology to address challenging conservation problems. Butterfly (Euphydryas editha bayensis), evaluation of biodiversity impacts of atmospheric nitrogen deposition, characterization of habitat for federally listed aquatic organisms such as steelhead trout (Oncorhynchus mykiss), and modeling of climate change impacts in mountain ecosystems. Our Philosophy: We subscribe to the worldview of Aldo Leopold, who expounded a “land ethic”, in which the basic ethical considerations given to human beings are expanded to include the natural world around us. As such, while our work is founded in science, it is also rooted in a deep philosophical commitment to achieve and maintain ecosystem health, preserve vital ecosystem functions, protect rare and endangered species, and expand consciousness about conservation through education and outreach. Why do we care about conservation? Our natural environment is the single most important place we will ever protect. We list a few reasons why we continue to strive for greater awareness of conservation. pollutants, pollination of crops, soil formation, and moderation of weather. Economic Value = from an economic perspective, the importance of key natural resources (food, fuel, fiber, building materials, etc.) on which human existence and modern civilization depend. 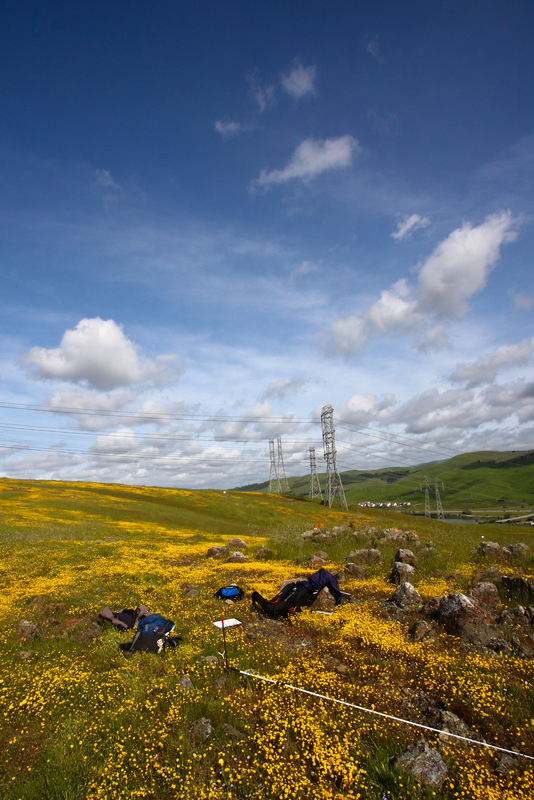 Research plot at Tulare Hill, Santa Clara Co.
natural world as a source of knowledge and living laboratory.